For six seasons New York Men's Day has been the indie opening act for New York Fashion Week: Men's. 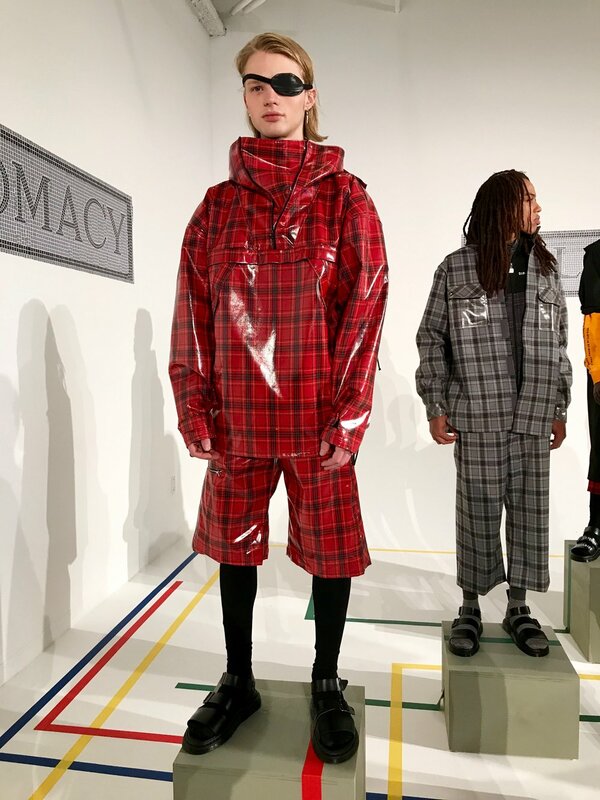 Produced by Agentry PR, a carefully curated group of emerging designers and talent set the tone for the week with morning and afternoon showcases each featuring six different designers. As morning approaches and Dune Studios becomes the command center for the style set filled with excitement, angst, anxiety and Gucci the show begins. This season the morning showcase featured David Hart, Wood House Army, Bristol Studio, Project Life Creation, Head of State, and Diplomacy. A strong start to what promises to be a hectic, slice on-the-go kind of week.